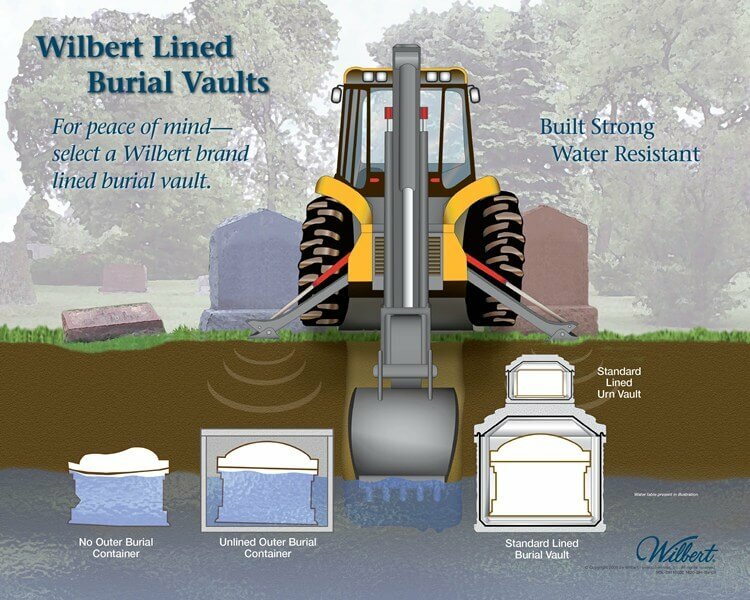 Burial Vaults provide protection to the casket from the weight of the earth, the outside elements of the earth, and damage to the casket by heavy equipment that may be opening surrounding graves. Your vault will be set up and visible at the graveside committal ceremony. 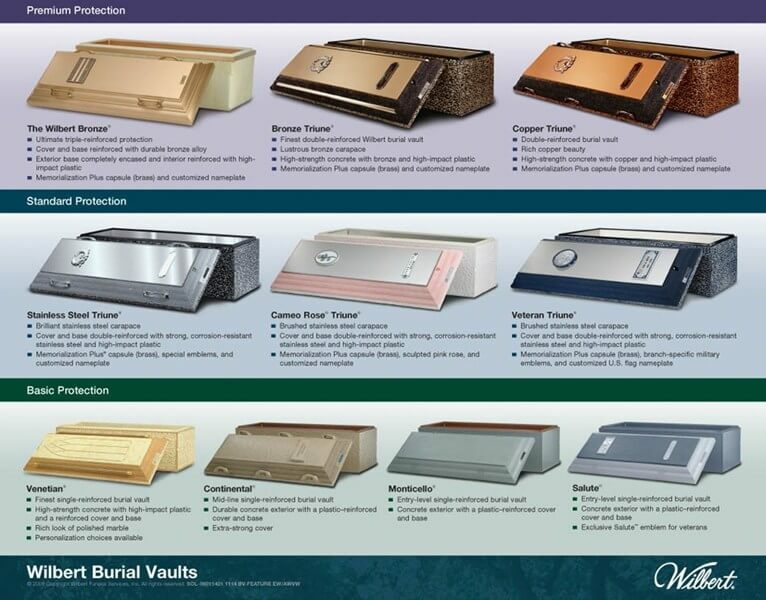 Your vault can be personalized and painted to match the casket. Some cemeteries require the minimum of a concrete grave box to ensure there will not be any settling of the grave. Our funeral professionals can assist you with any questions that you may have about burial vaults or your cemetery. Please call us at 501-796-2275. Why Purchase A Burial Vault?